Three offers two types of price plan: Essential and Advanced. Find out how the plans compare on features like Feel At Home, Go Binge and Personal Hotspot. Three’s Essential price plans are no longer available for purchase. Essential price plans were available on Three between the 12th July 2016 to 6th September 2018. As of the 7th September 2018, only Advanced price plans are available for purchase. This blog post remains as an archive for customers who previously purchased an Essential plan. Three has split their Pay Monthly line-up into two types of price plan. Alongside the fully-featured Advanced price plans, it’s now possible to buy an Essential price plan with a reduced monthly cost. Essential plans come with some reduced features in the area of international roaming, streaming and personal hotspot. For customers wanting the more fully-featured offering, Three’s Advanced price plans still remain on sale. The main benefits of choosing an Advanced price plan are you’ll have access to inclusive roaming in 60 destinations along with zero-rated streaming on selected services and an inclusive personal hotspot allowance. You’ll also get free calls to customer service, and larger data allowances are available including all-you-can-eat data. 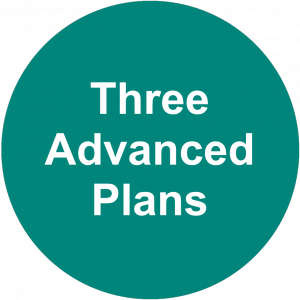 In this article, we’ll review Three’s Essential price plans and we’ll see how they compare to Advanced price plans. We’ll also discuss the range of add-ons available for the Essential plan (for instance, in case you wanted to use personal hotspot). Since November 2016, Three has offered two different types of Pay Monthly plan. 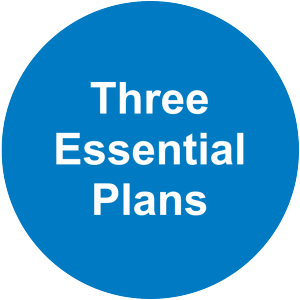 For customers looking to save a bit of money, Three’s lower-cost plans are known as “Essential” price plans. Typically costing about £2/month less, they’re designed for customers who according to Three aren’t “always on holiday, using their phone as a hotspot or constantly calling customer services”. As such, Essential price plans only include Feel At Home in Europe (you won’t have access to inclusive roaming in non-European destinations). Essential price plans also lack access to Go Binge and inclusive personal hotspot usage. On an Essential plan, you also won’t have unlimited free calls to customer service (however, you can still use your inclusive minutes for calling Three customer services). * On Advanced price plans with more than 30GB of data (e.g. 100GB or all-you-can-eat data), up to 30GB per month can be used through tethering and portable hotspot. On Essential price plans, phone calls to customer service on 333 will come out of the inclusive minutes on your plan. For most people, this shouldn’t make a major difference providing you have enough minutes remaining on your plan. However, if you do run out of inclusive minutes, you’ll need to pay the standard out-of-allowance rate (35p/minute) when calling customer services. For customers who are travelling abroad, Three has an international roaming offer called Feel At Home. It allows you to use your smartphone abroad at no extra charge, including your UK minutes, texts and data allowance. Feel At Home in Europe. This covers 48 European destinations including including Italy, Spain, France, Germany and more. All EU and EEA destinations are included in this offer. Feel At Home Around The World. This covers 12 additional destinations outside of Europe. Key destinations include the USA, Australia, New Zealand, Brazil, Hong Kong and Singapore. With an Essential price plan, you’ll only have access to Feel At Home in Europe. You’ll need to pay Three’s international roaming rates whenever you use your phone outside of Europe. With an Advanced price plan, you’ll have access to both Feel At Home in Europe and Feel At Home Around The World (giving a total of 60 destinations where you can roam at no extra charge). For more information, please see our full review of the Feel At Home offer. Go Binge is available on Advanced plans with 4GB of data or more. Go Binge is one of Three’s signature features, and is exclusive to customers choosing an Advanced price plan with at least 4GB of data per month. 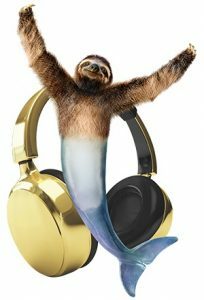 The feature gives you unlimited standard-definition streaming on Netflix, TV Player, Deezer and SoundCloud. You can use the services to watch content and listen to music and it won’t count towards your normal download allowance (therefore freeing you up to stream to your heart’s content without worrying about data). A separate subscription will of course be required to access the above services (for instance, between £5.99 and £9.99 per month for a subscription to Netflix). At present, rival services like BBC iPlayer, YouTube and Spotify are not included in the Go Binge offer. It’s not possible to add Go Binge as an additional feature on Essential price plans. You’ll need to upgrade to an Advanced price plan with at least 4GB of data if you’d like to access the feature on your tariff. For more information, please read our full review of Go Binge on Three. Tethering is only included on Advanced price plans. You can add it to an Essential plan from £5/month. On Essential price plans, the use of tethering is not included in your tariff. 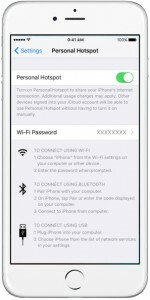 Therefore, if you’d like to tether or use personal hotspot when on an Essential price plan, you’ll need to buy a “personal hotspot add-on” to enable this. You can buy a personal hotspot add-on by logging in to your My3 account or by calling Three Customer Services on 333. By default, once you’ve added the add-on to your account, it will renew every month until you ask Three to remove it. Depending on how often you decide to tether from your plan, it may be better value to upgrade to an Advanced price plan instead. On Advanced price plans, tethering is included in your plan at no extra charge. Your tethering or personal hotspot usage will simply come out of your inclusive data allowance (subject to a maximum of 30GB per month on tariffs with 100GB of data or all-you-can-eat data). For more information, please see our article on the UK’s best value tariffs for tethering. At present, it’s possible to buy an Essential SIM card with up to 12GB of data per month. With an Advanced SIM card, larger data allowances are also available including 30GB per month, 100GB per month and all-you-can-eat data. For a complete list of Essential and Advanced SIM-only deals, please see the full list on Three’s website. If you’re buying a new handset on a 24-month contract, you can normally save significant amounts of money by choosing an Essential price plan. The amount of money you save will depend on the handset you choose, as well as the tariff and how much data you require on it. For further information, see the Three website for a list of available handsets and tariffs. It’s a straightforward process to transfer your phone number to Three. 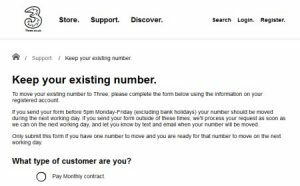 If you’re joining Three as a new customer, it’s a straightforward process to keep your current phone number. You should start by asking your current mobile network to provide you with a PAC Code. You can then order your new phone or SIM card from Three’s website. When the new phone or SIM card arrives, you’ll need to fill out this form on Three’s website. After you submit your PAC Code, Three will schedule the transfer of your phone number (normally for the next working day). In the meantime, you’ll continue receiving a service from your old network. For more information on transferring your phone number between networks, please see our guide to using a PAC Code. 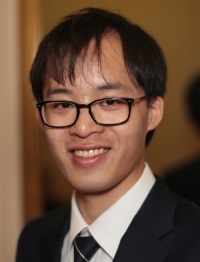 For more information, please see the Three website. You can find full details of both the Essential and Advanced plans within the Three Price Guide. 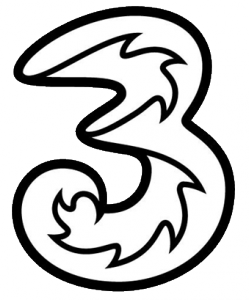 Its unbelievable the amount of confusion three mobile is causing their customers with their different mobile phone plans, feel at home roaming, personal hotspots, tethering, calls to customer services whether its free or costs .35 p per min. Their long list of various charges for sims or contract phones.